Goodbye, House. Hello, Home! 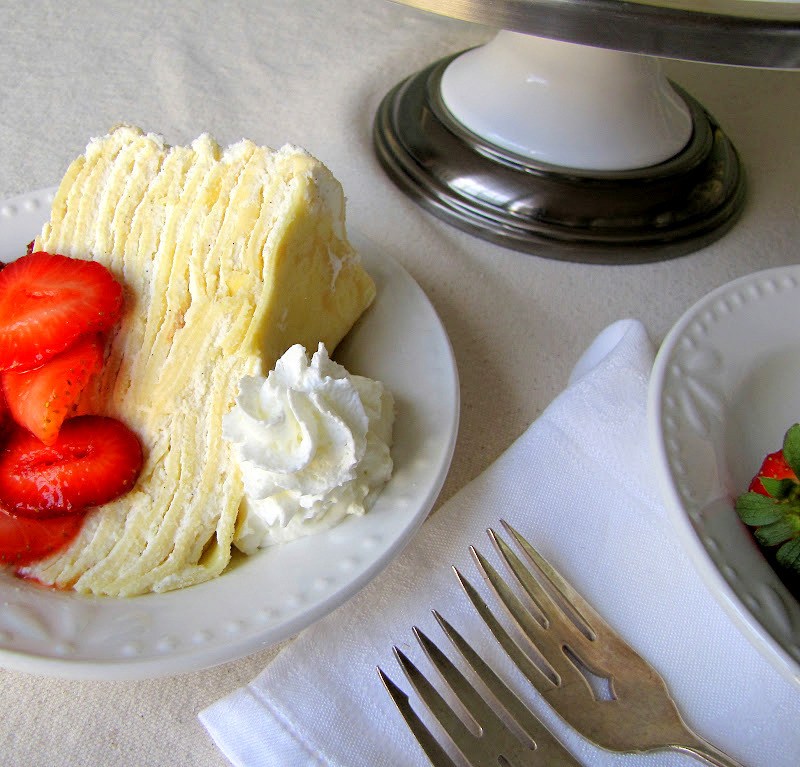 Blog : Vanilla Crepe Cake, Anyone? Good morning, ladies! Today just happens to be Round No. 2 of Miss S in the Kitchen (lucky you). 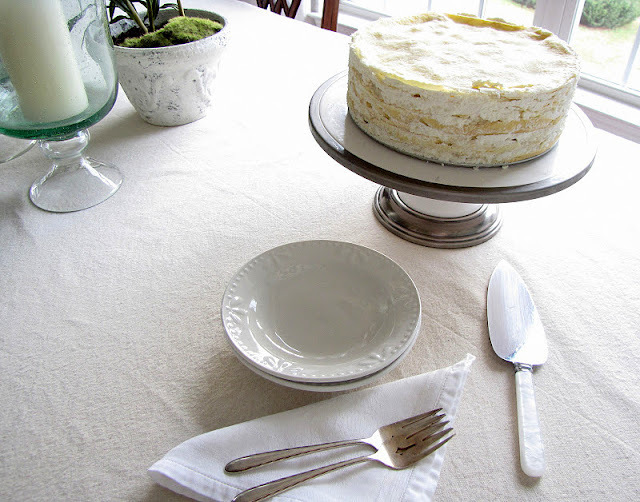 I'm going to be sharing yet another delicious recipe: Vanilla Crepe Cake. 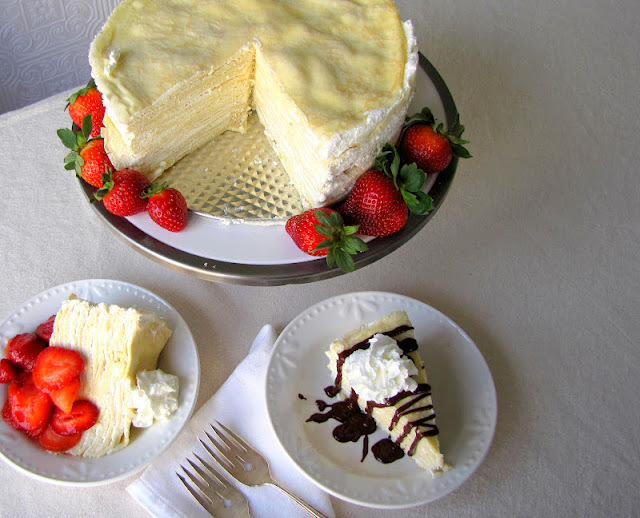 What's a crepe cake, you ask? 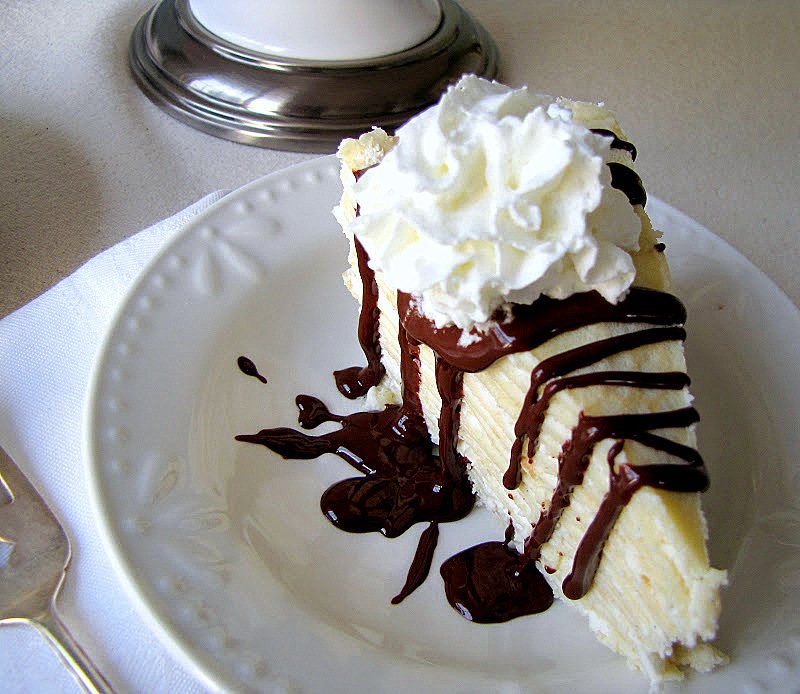 Only layers and layers of fluffy vanilla crepes and creme! And if you like crepes and cream, then you'll love this recipe, I promise. I'll have to warn you first that this is not an instant cake, as it requires overnight setting. However, it's well worth the wait! 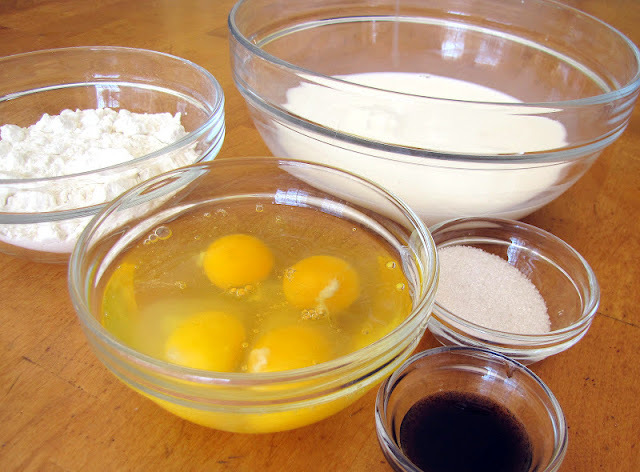 Combine 2 c. flour, 3 c. milk, 4 eggs, 2 tbsp. 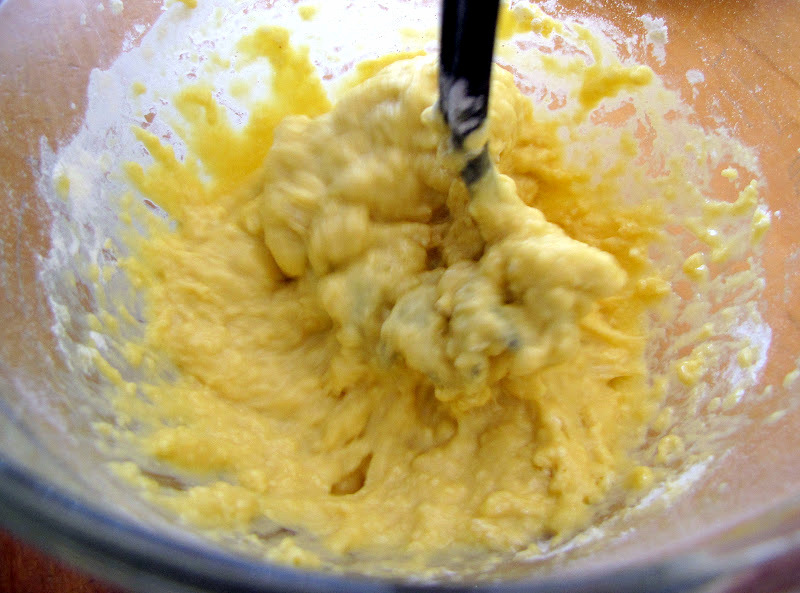 oil, 1/2 tsp. salt, and 1 tbsp. vanilla in a bowl. Beat until blended. Heat a lightly-greased skillet. Spoon in about 2 tbsp. 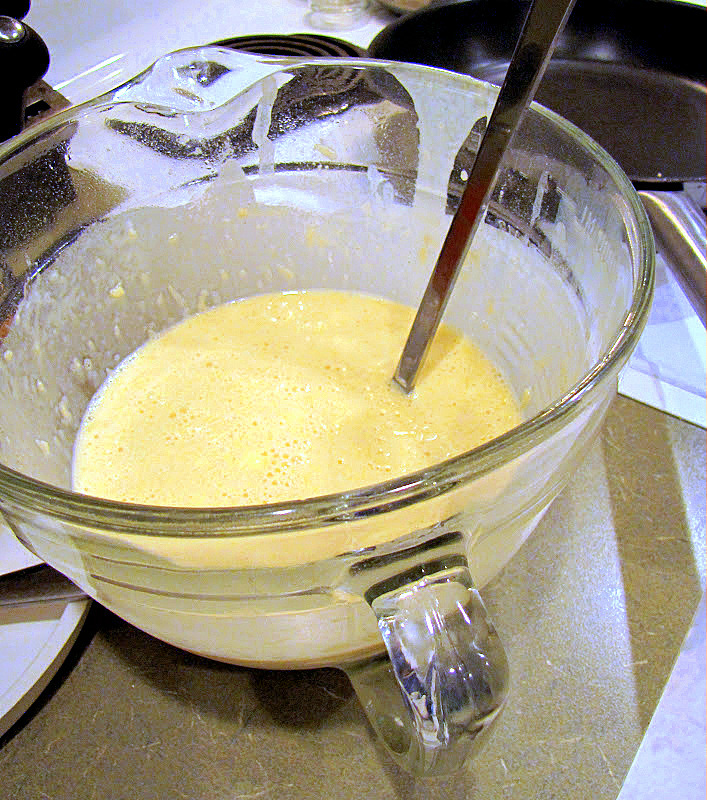 batter per crepe. Cook and flip until both sides are just cooked (slightly browned and dry around the edges). 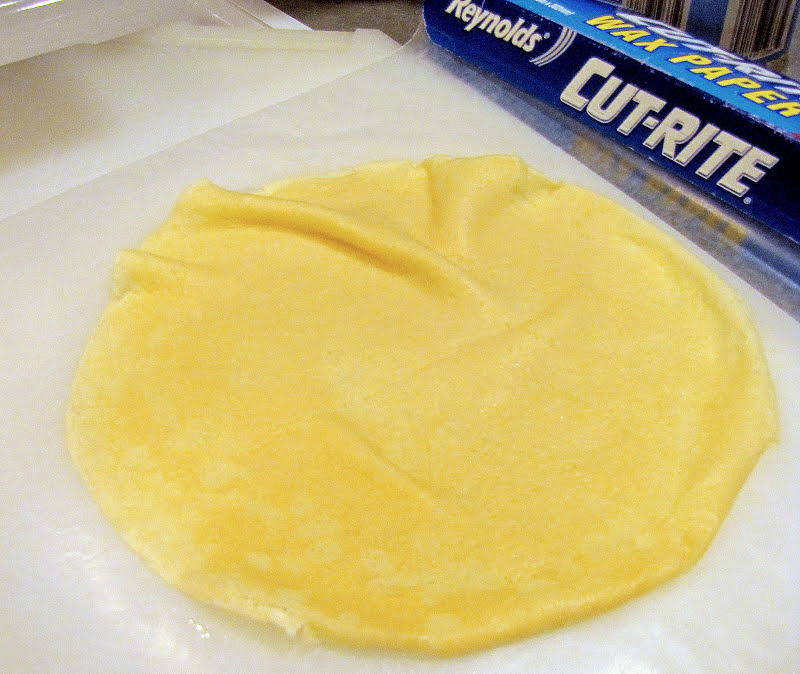 Invert your crepe onto wax paper. Repeat, layering wax and crepes. This should make 16 to 18 crepes. 1 quart of whipping cream with 2 c. powdered sugar, 1 tbsp vanilla, and a pinch of salt. Once the crepes have reached room temperature, pull out your handy springform pan. Now, grab your spatula, crepes, and cream. Put a crepe at the bottom of the pan. With your spatula, spread some whipped cream on that French pancake. Repeat. Place your last crepe neatly on top, cover the pan, and refrigerate. When you're ready to eat (and you'll be ready to eat! ), simply pop off the sides of the pan. 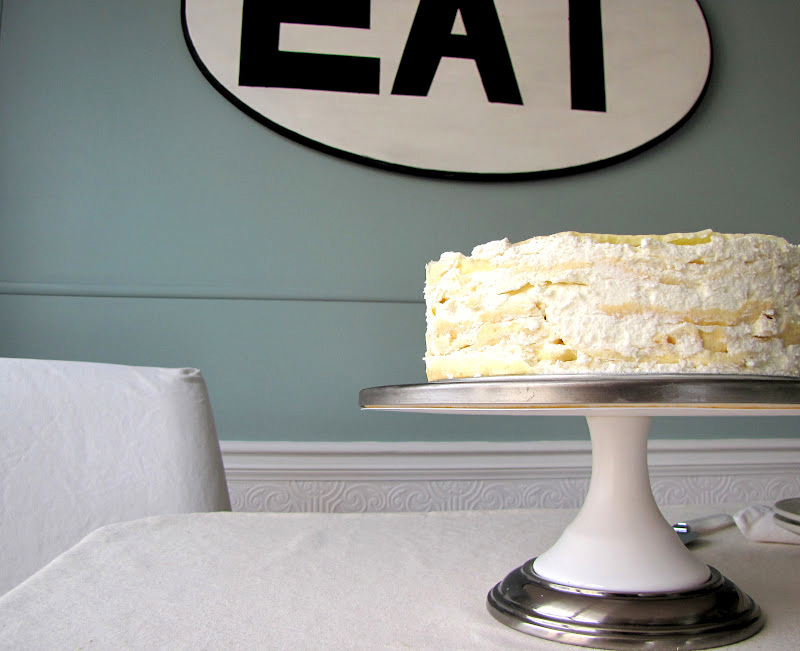 Place on your prettiest cake pedestal and photograph your accomplishment. Cut as you would any old cake (but this is not just any old cake). And so, I hope, will you! Thank you for allowing me to share this with you! Thanks to all who made this cake possible! Cake by Mom and Mr A. Pictures by Miss S (and Mom). I can taste it through the computer screen! YUM! This is definitely the very next dessert I am going to make. Oh yes it is! You had me at crepe! Thank you lovely daughter of Leslie, for sharing this! Looks wonderful! Okay....please to make one for my next birthday? Or your birthday, Miss Sarah....make cake, I shall come. Good Post...I enjoyed it very much. oh my good heavens that looks good. i will so be making this. 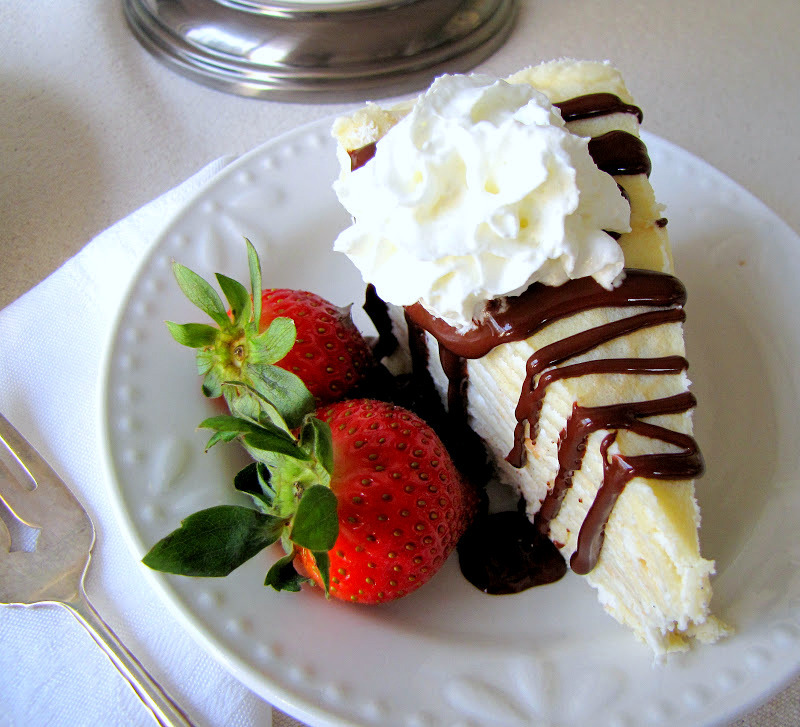 oh my....that looks just divine! seriously mouth watering Leslie. WOW! I want some please :) It's looks so delish! That looks extraordinary! I love that it needs to sit overnight in the fridge, because by the time I'm done with cooking something that labor-intensive I'm usually too tired to think about eating it. (Oh, who am I kidding. I can ALWAYS eat!) Looking forward to trying this. Thank you for sharing! Deliciously Decadent! Oh my word...it looks delish! Yes, please, I could sure use some today. Tell Ms. H. I love cake too. Wow! Your cake looks divine! Reading this made me really hungry! That looks appetizing... and I had a fun time learning the instructions. Maybe I'll make my own cake this weekend! I tried this recipe and it was so delicious. Also I added some chocolate instead of vanilla. I tasted delicious too. I’m currently challenging crafty people to share one of their projects to help people "who think they can’t craft"! Go on my blog for mor informations!! And if you’d like to share a project, it would be GREAT! It doesn't have to be a new project, it can just be an old one. 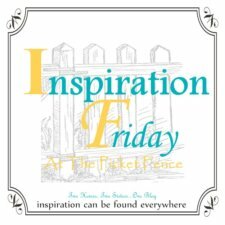 I came across your blog through Maple & Magnolia and loved it. I already started rearranging things in my house after reading your ideas and tips. I look forward to checking out more of your projects! 1 - This looks pretty much like sin on a plate (and I happen to like sin). 2 - How have we not "met" before? I live in Greer!!! I saw you post on The Blooming Hydrangea's facebook page and had to check you out. Following you now! Hm. What might happen if I cook the crepes a *wee* bit longer than suggested? I think I might like them a bit crispy. Okay, can I just say Yum! this was fantastic, easy to do and it turned out really well though my husband ate a large portion of it. It was just as delirious tasty as it looked, and we used caramel sauce as well, but had absolutely no complaints.